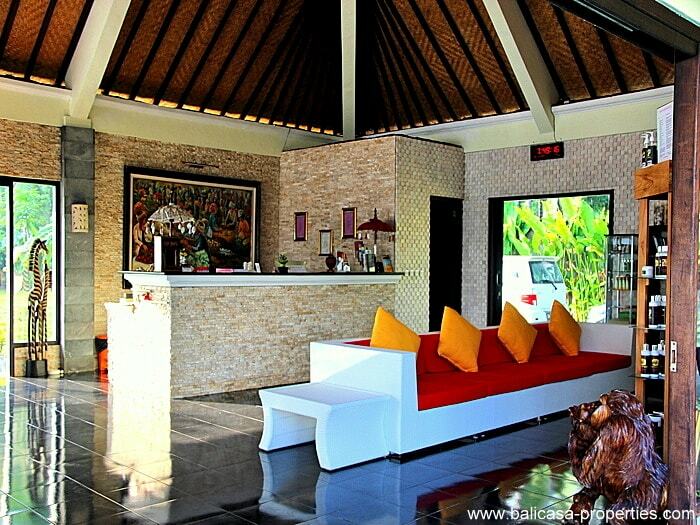 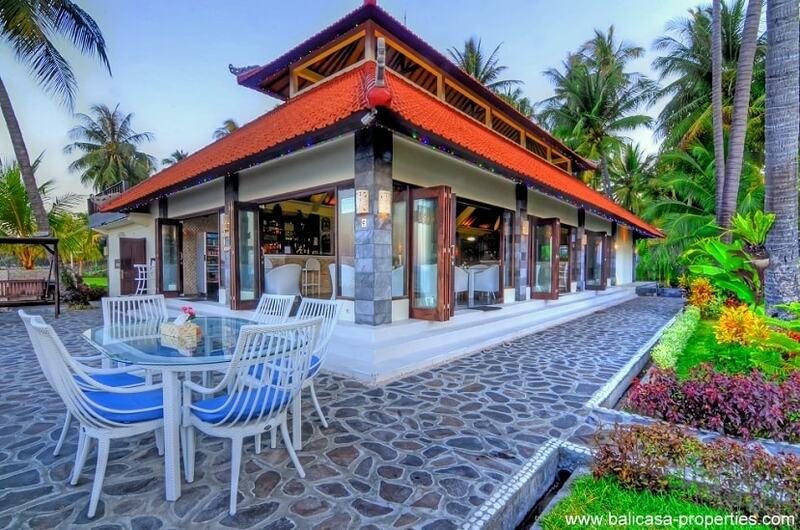 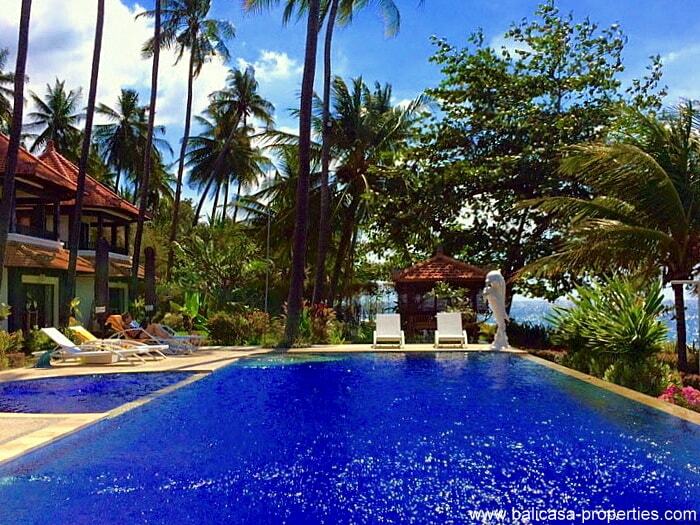 This North Bali beachclub is consisting of 4 large double storey villas which can maximum accommodate 4 persons in each villa. 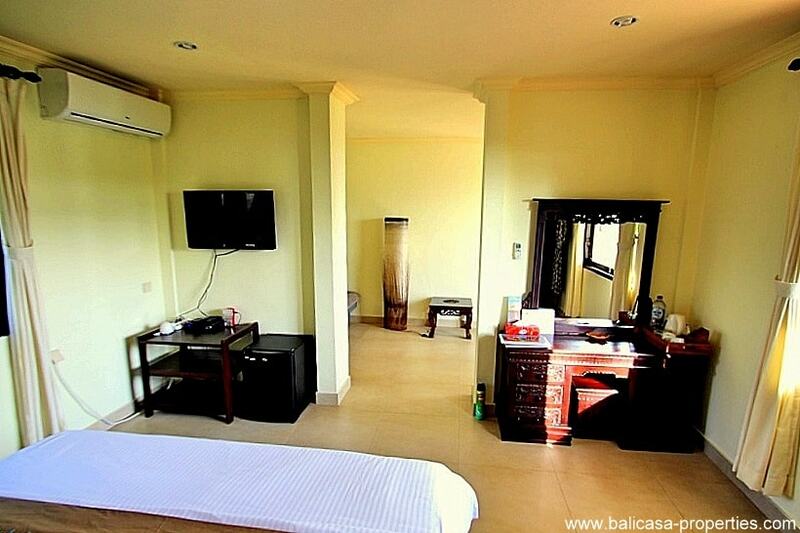 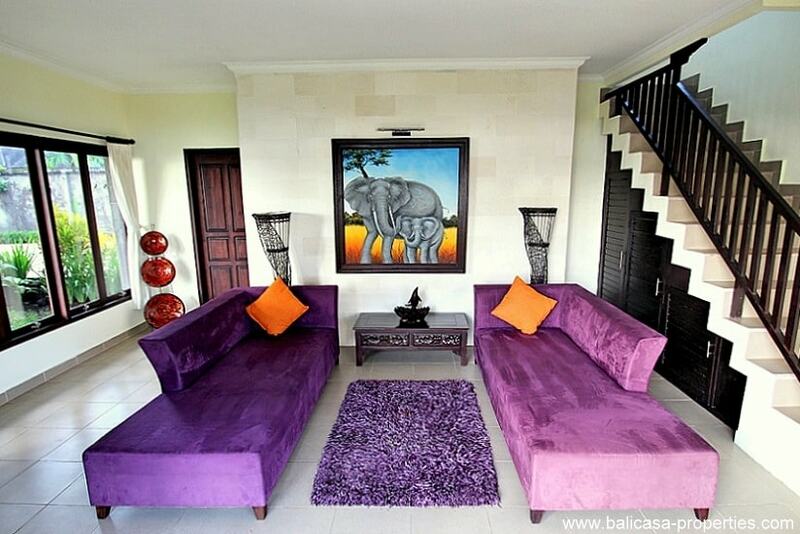 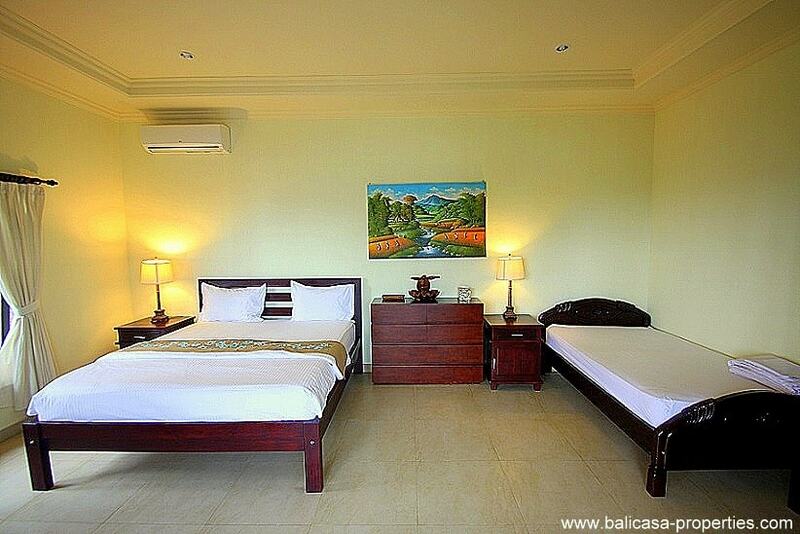 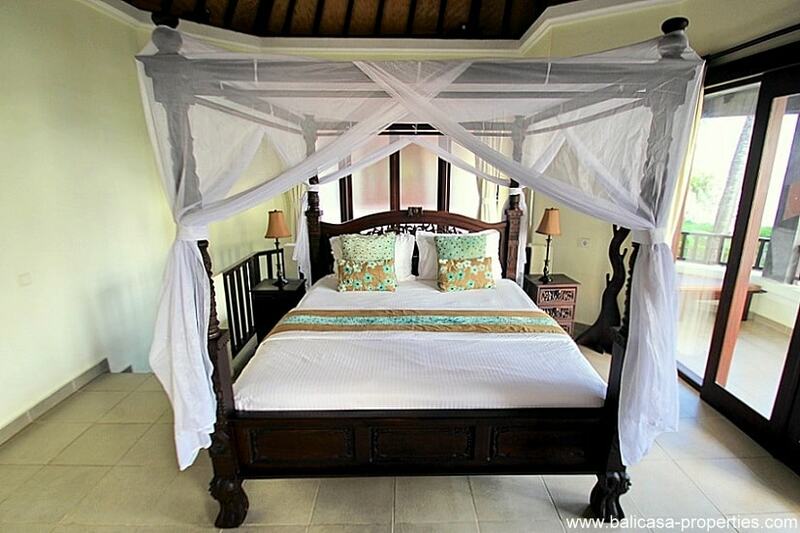 Each villa is having a bedroom on the ground floor and a second bedroom on the first floor. 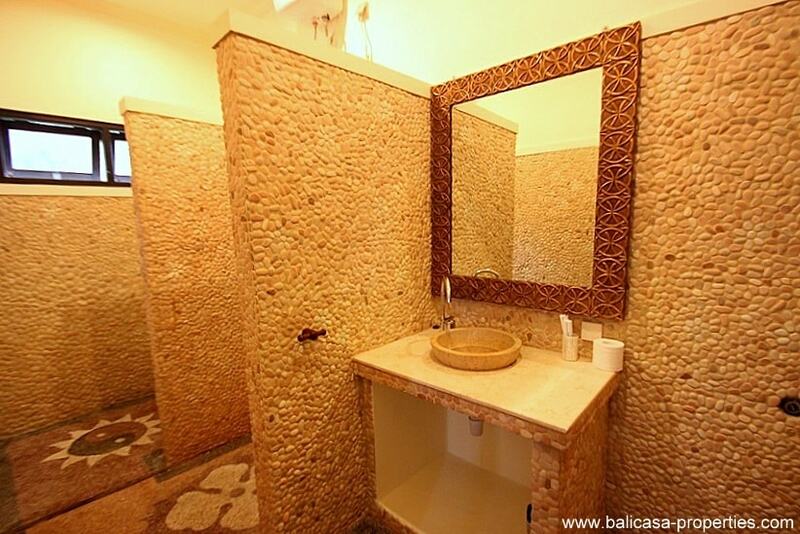 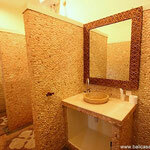 Each bedroom is having its own en-suite bathroom. 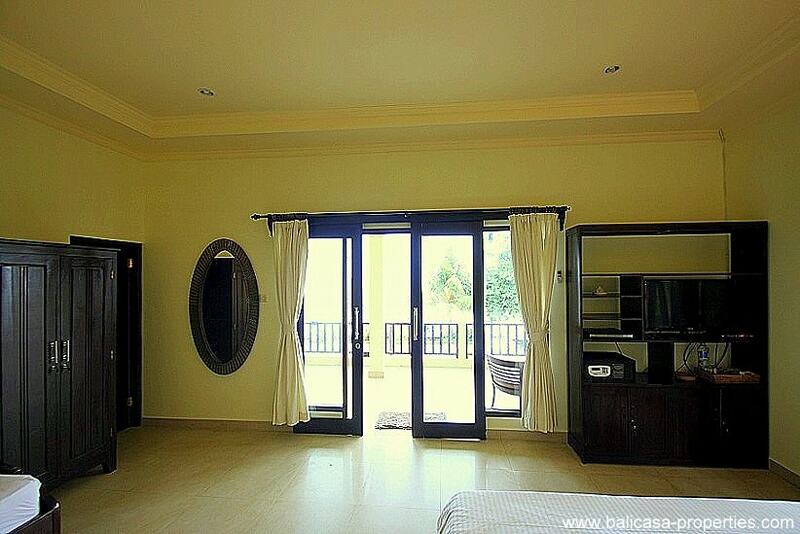 The bedroom on the ground floor is having a large terrace and the room on the first floor is having a wide balcony with unlimited views over the ocean. 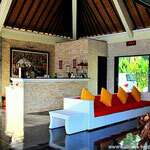 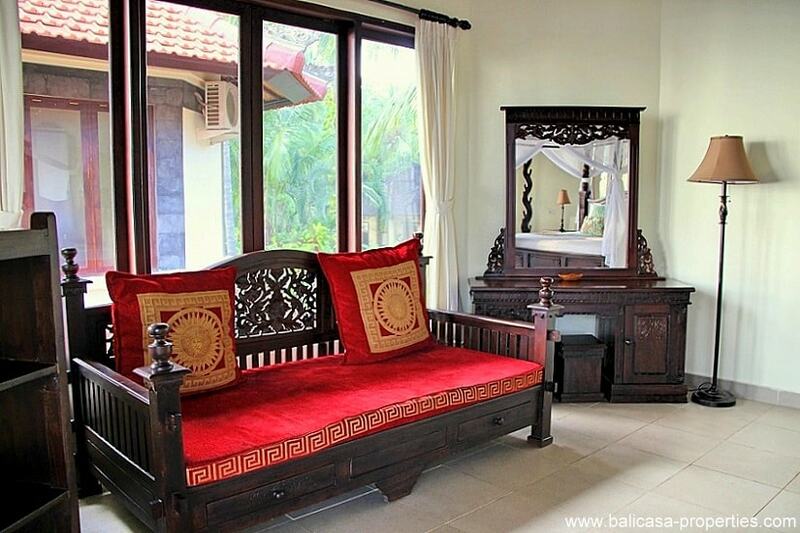 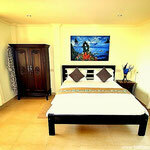 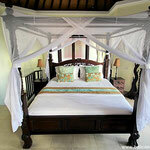 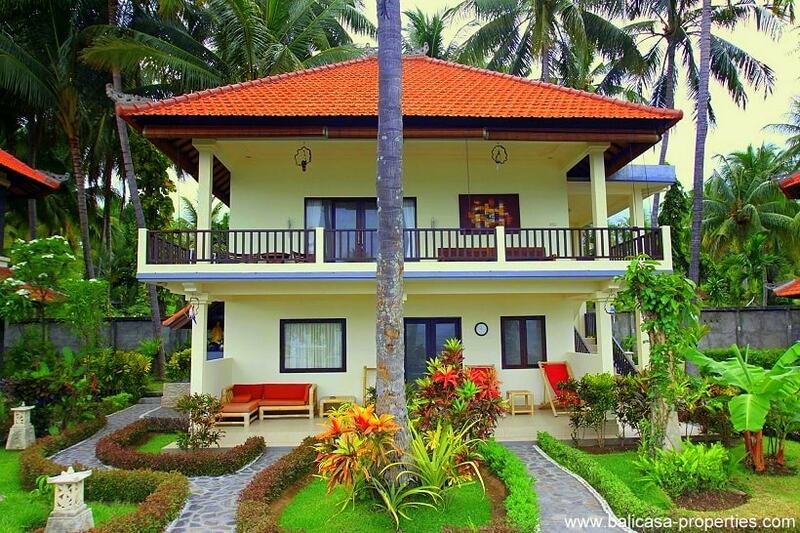 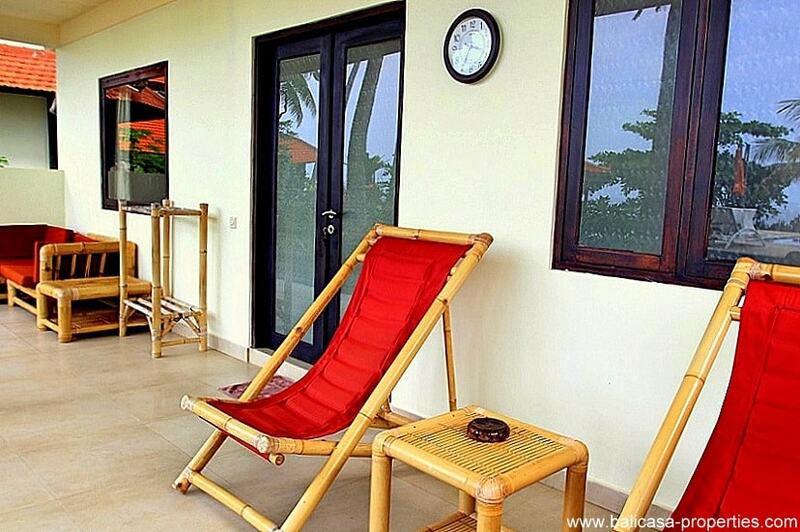 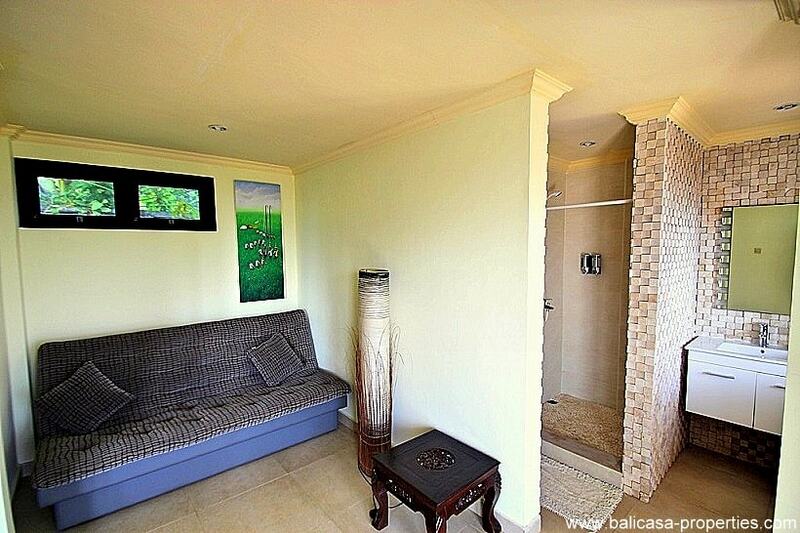 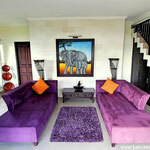 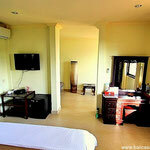 In addition, there is a separate bungalow available which can accommodate 2 persons. 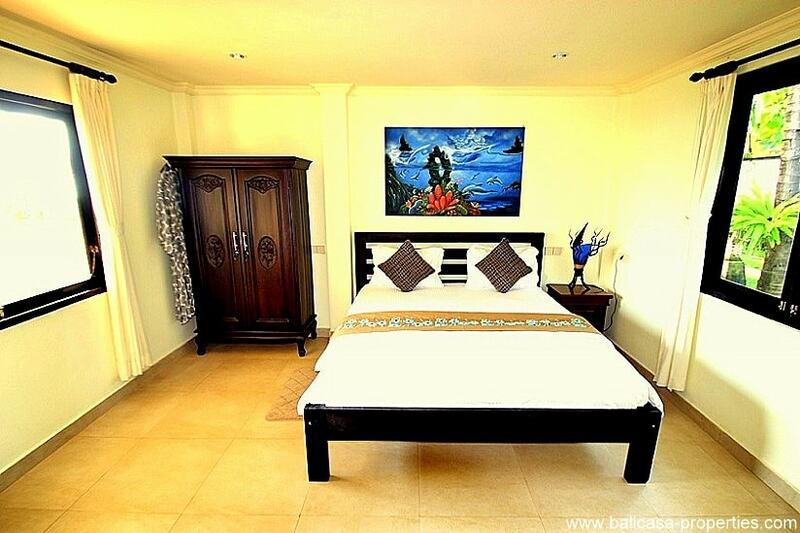 This private bungalow consists of a living room on the ground floor and a bedroom with en-suite bathroom on the second floor. 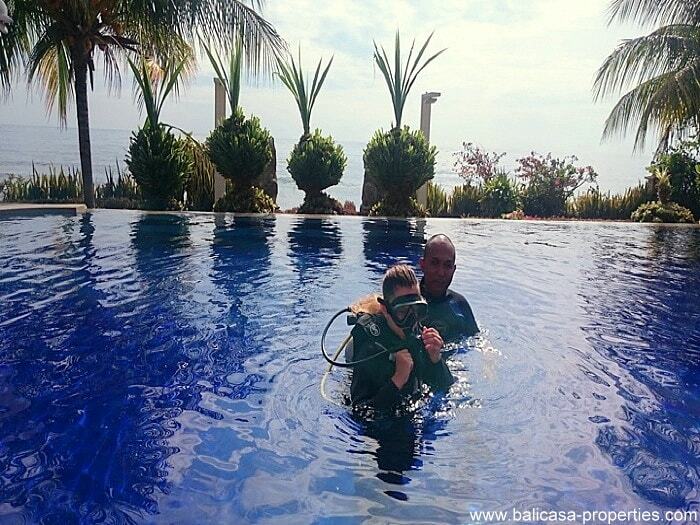 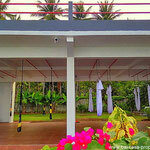 In front of the accommodations is the large swimming pool, measuring 16 x 6 meters. 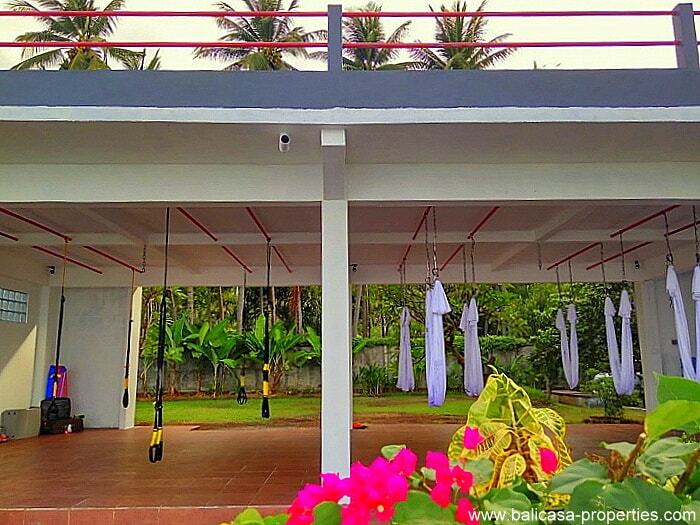 A shallow place for kids is available. 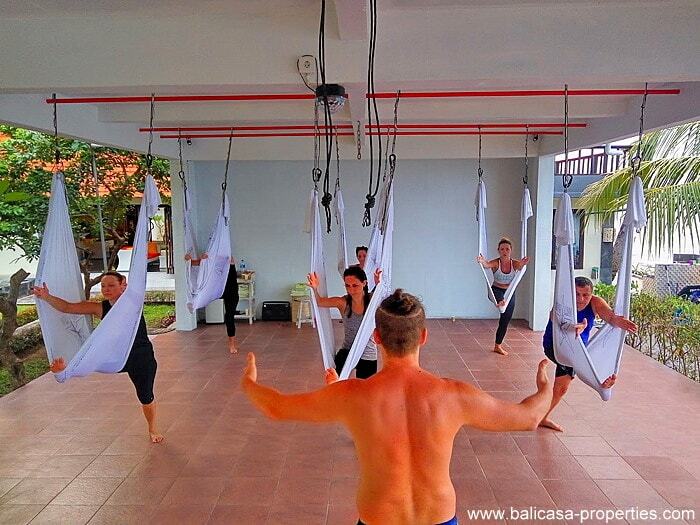 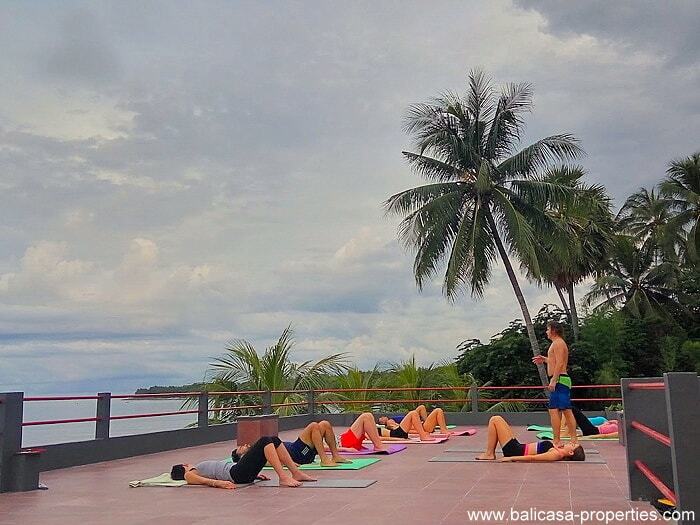 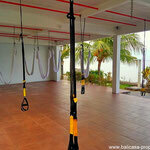 A 100m2 covered space is available where you can practice yoga or fitness. 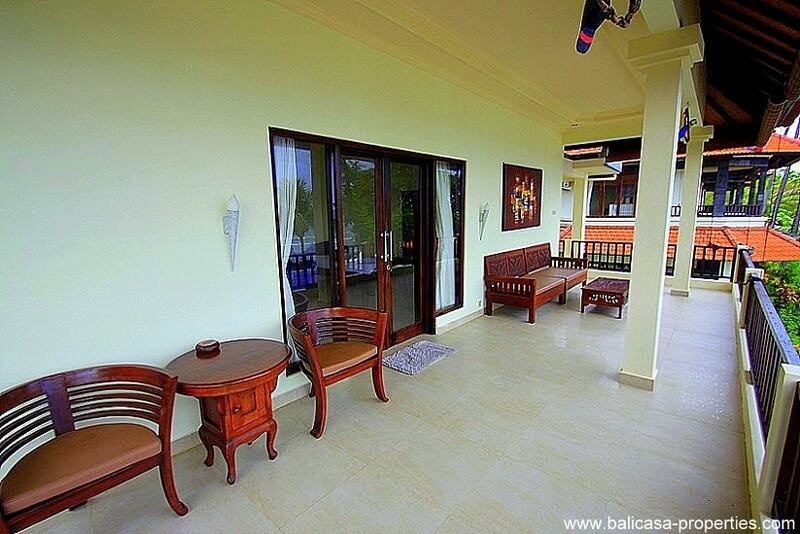 Besides this, there is a 130m2 large open terrace. 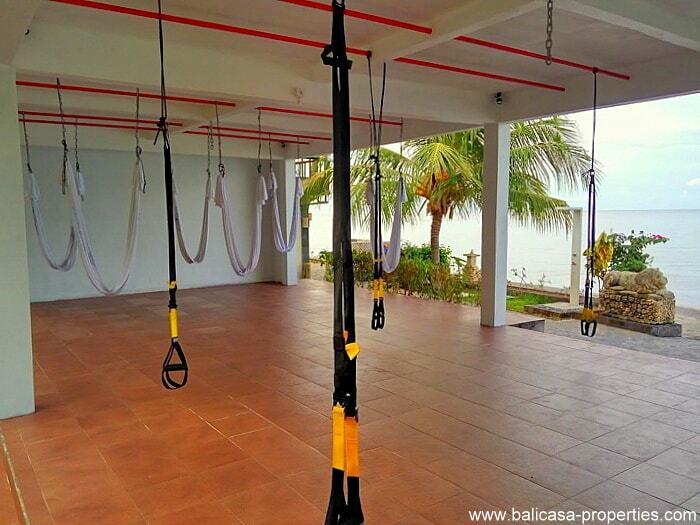 Also this space can be used for practicing yoga. 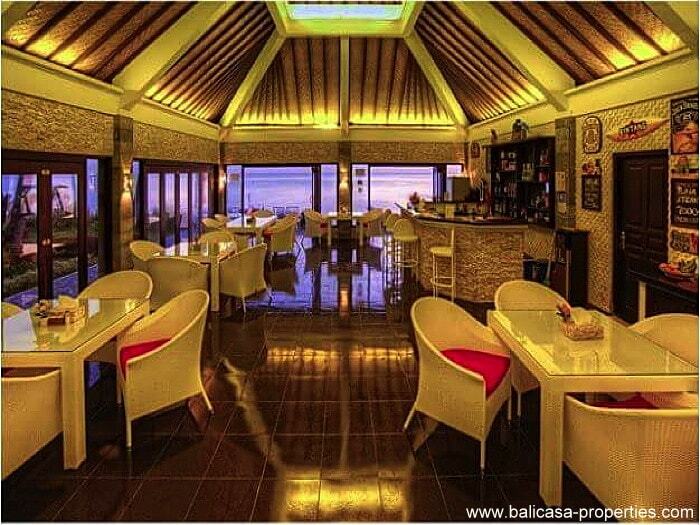 The resort is having its own restaurant. 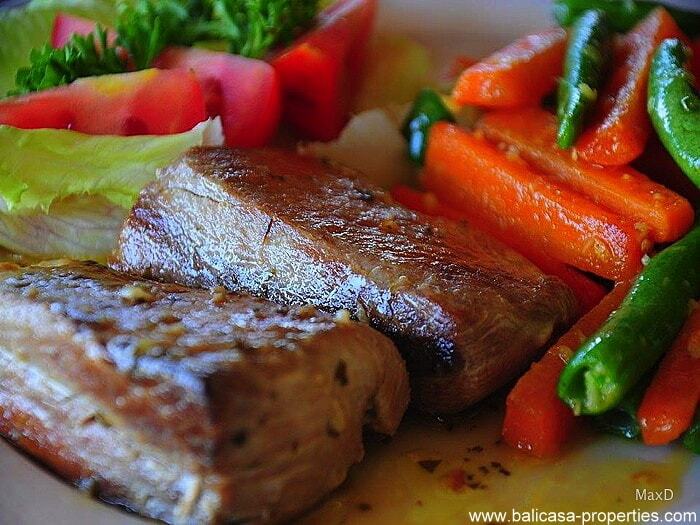 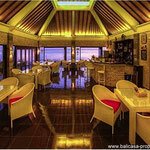 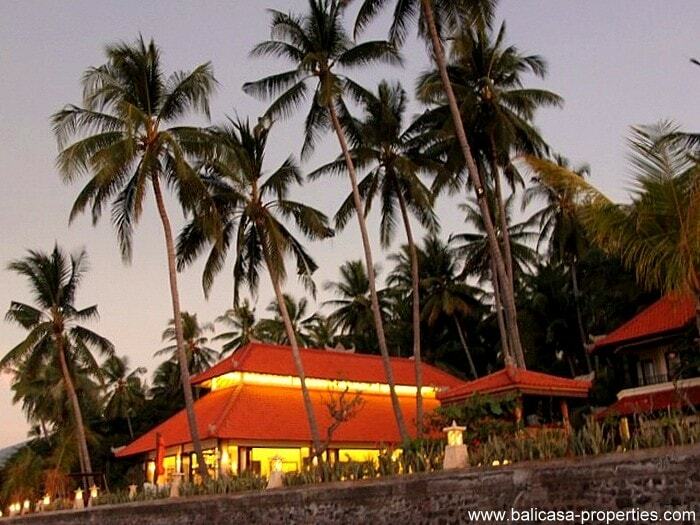 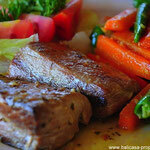 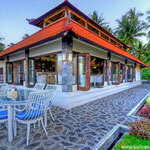 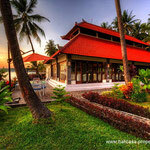 The restaurant serves Western and traditional Balinese food. 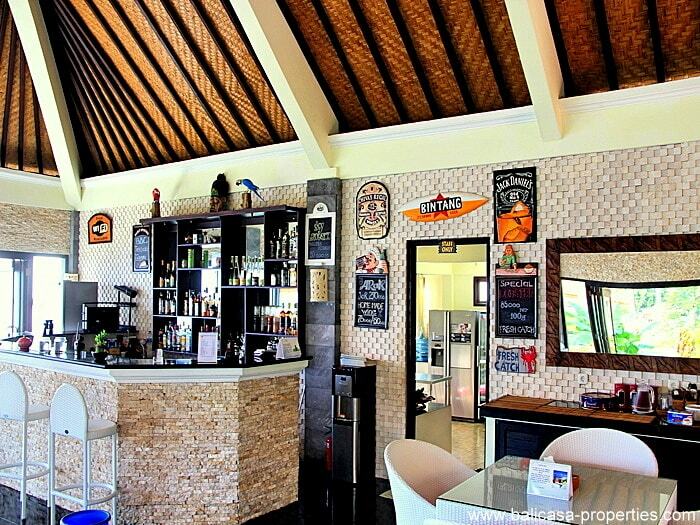 Also you complimentary breakfast can be consumed here. 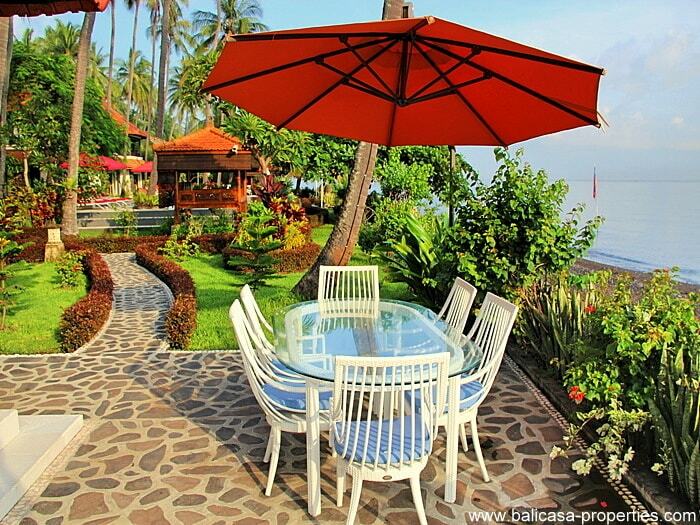 In the garden of this North Bali beachclub you will find plenty of fruit trees like papaya, mango, kiwi, banana, pineapple and coconut. 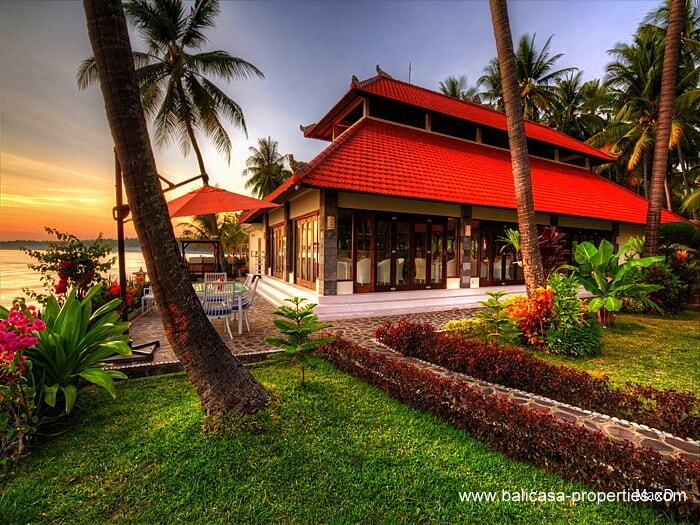 Besides this, there is about 850m2 of vacant land left. 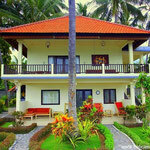 This can be developed with more accommodations. 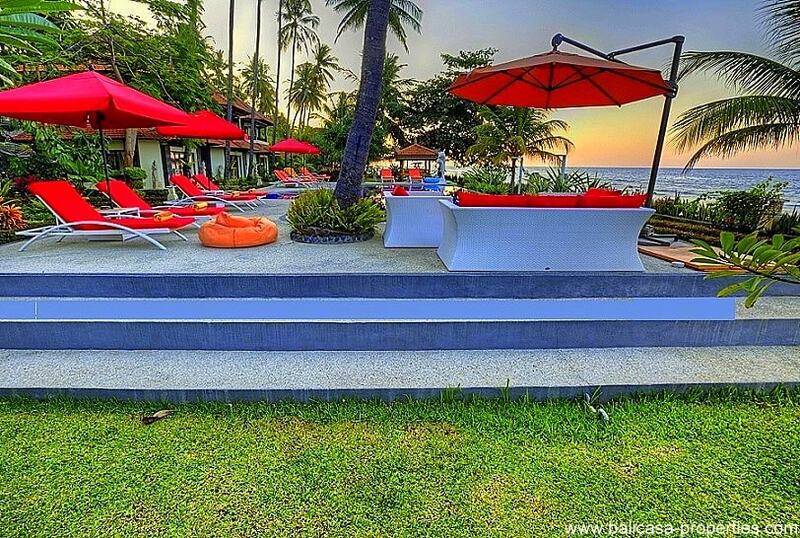 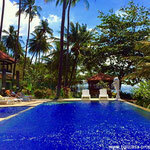 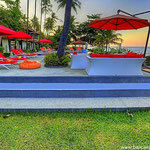 This beachclub can be found East of Singaraja. 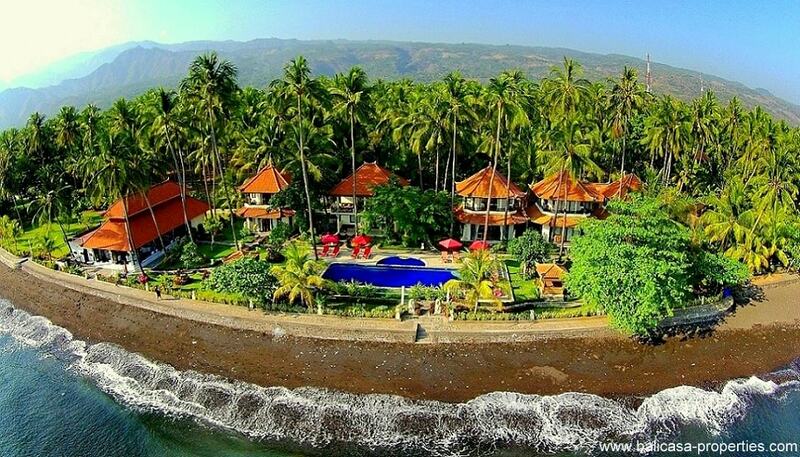 From this location you can have an easy access to the diving spots in Tulamben and Amed. 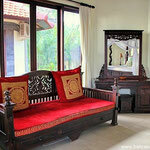 However, also Singaraja can be reached within half an hour driving. 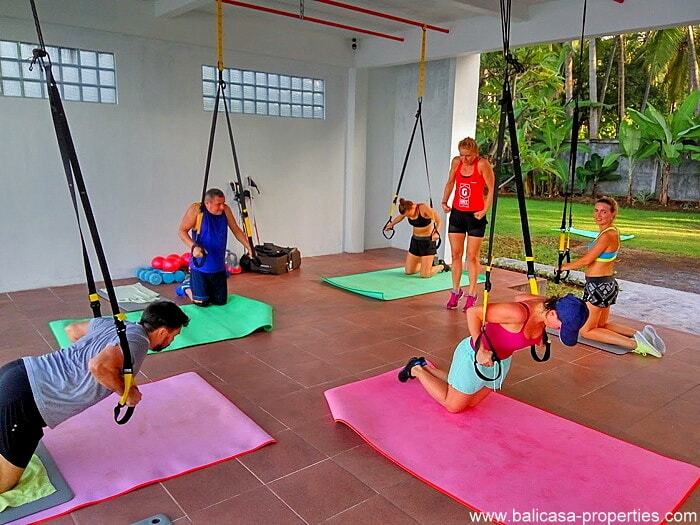 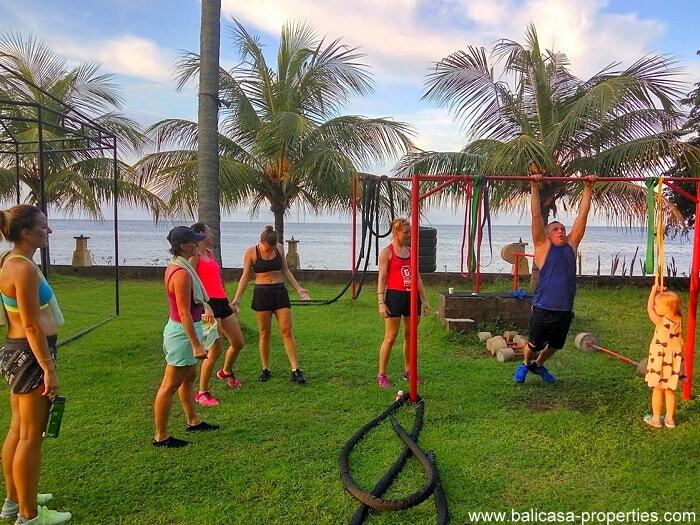 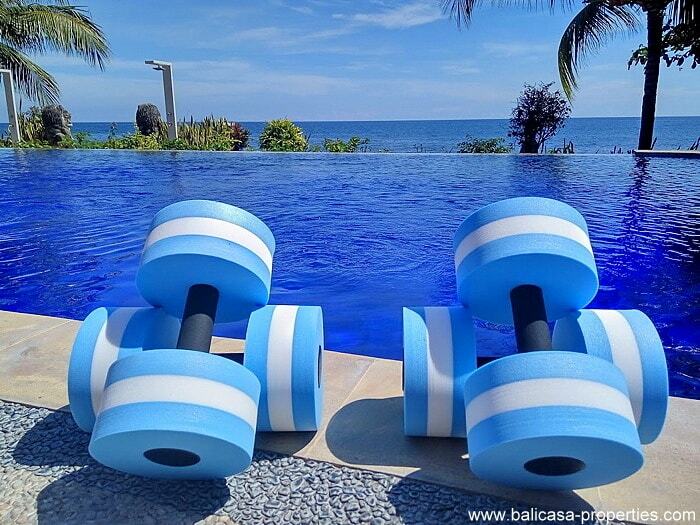 The club has been published in about 250 various booking channels, working with agents, fitness and yoga centers. 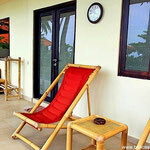 The beachclub is having an average rating of 9.3 to 9.5 on Booking.com. 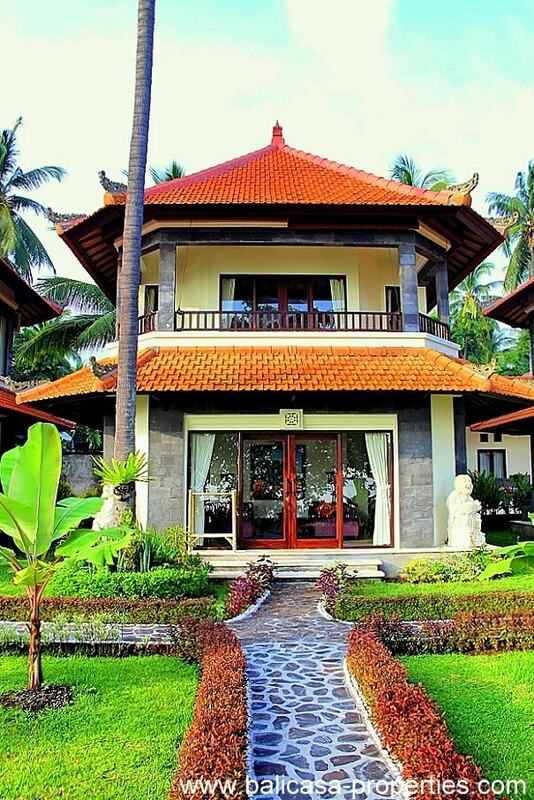 Hak Milik (freehold) via norminal holder structure - nominal holder received 10% from net profit and works as GM of the hotel.